A little bit larger army military basecamp, shelter or home for bigger group, this tent has room for 6 people and their gear. 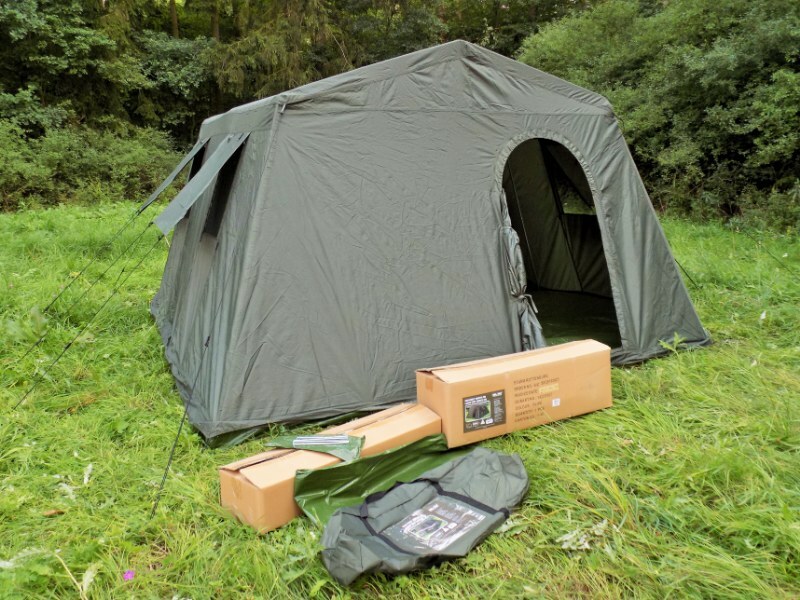 This large tent has flysheet which has a water column of 1500mm and might be a real saviour if you are on a lookout for a tent like this. It does not cost much. The floor of this tent is 10.5m² and height on the inside is quite generos, 180cm, so average height guy could stand inside without problems. The outer is polyurethane coated polyester and all the seams are taped. The floor has a water column of 3000mm. Sturdy steel frame is easy to set up and will keep the tent on place. Two entrances and four ventilation windows with mosquito protection. comfortable to stand in the tent because of the height. 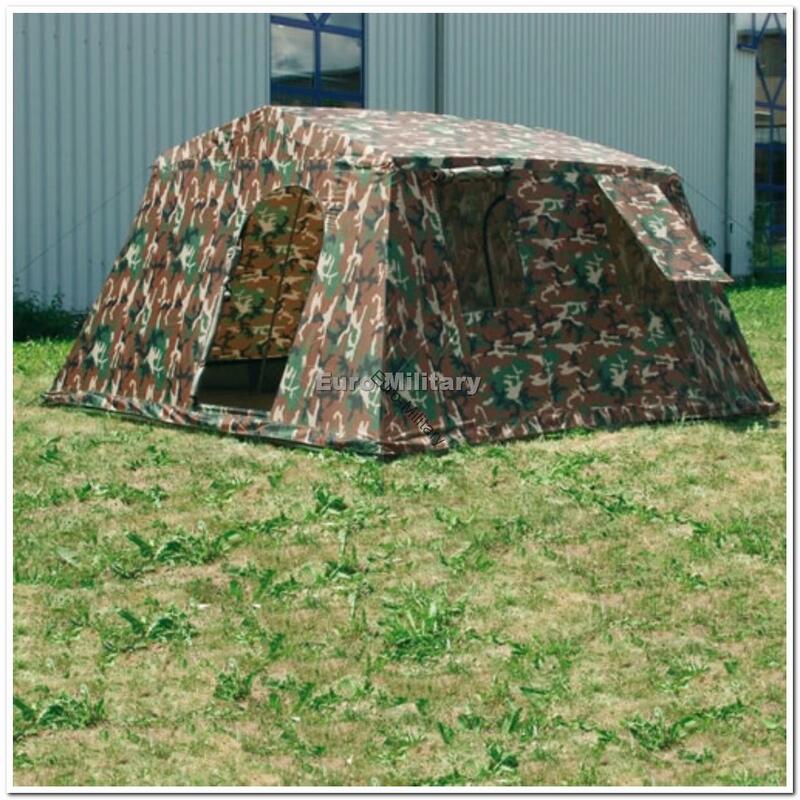 Suitable for military events, actions, outdoor, camping, fishing and other similar outdoor activities.